Sometimes I read papers that are so cool that I’m not sure how to go about blogging them. I recently read one such paper, and this post is my attempt to describe to you the awesomeness of said paper. But I would encourage you to just skip this post and go straight to the paper so that you can experience the full awesome, rather than my diluted version of it. Here’s the link to the PDF. 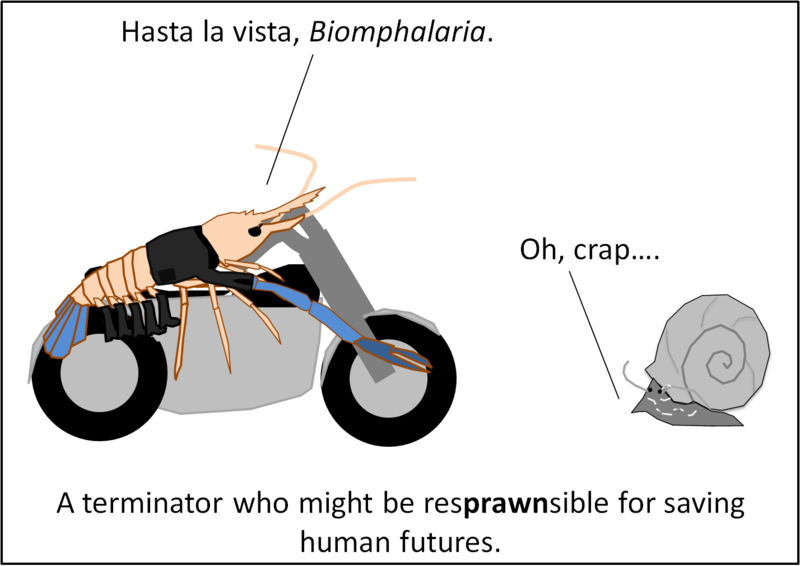 If you’re still here, you might want to take a little trip in the Parasite Ecology time machine to this 2013 post based on Luis et al. (2013). Luis et al. (2013) showed that rodents harbor more total zoonotic viruses than bats, probably because there are more total rodent species than bat species on the planet (or the universe, for that matter). But there are more zoonotic viruses per bat species than there are per rodent species, on average, which suggests that there might be something special about bats that causes them to be extra important hosts for zoonotic viruses. If you want a full list of those potential special somethings, you can visit my previous post. Here’s one possibility: bats might be really good at sharing their viruses with other species. 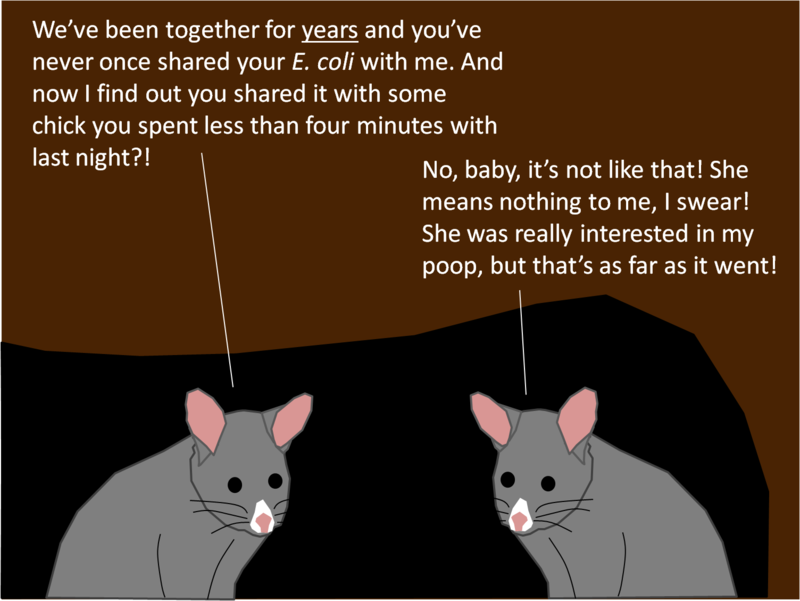 Unfortunately, we can’t just go out and quantify interspecific transmission among bat species and rodent species to see if bats are better at hosting and transmitting viruses…yet. But we (or, well, Luis et al. 2015) can look at published accounts of viruses in bats and rodents to better understand how viruses are shared among species. Ok, awesome methods time. Networks are a great way to quantify how pathogens are shared among individuals in a population. It turns out that they’re also a fantastic way to quantify how pathogens are shared among species in a community or a larger taxonomic grouping. Using published accounts of zoonotic viruses in bats and rodents, Luis et al. 2015 made networks where the nodes were individual bat or rodent species, and the edges (the connecting lines) were weighted to represent the number of viruses shared among two species. Using those networks, Luis et al. 2015 could calculate all kinds of network metrics that quantify things like the number of host species that any given host species shares viruses with (degree) and the number of shortest paths through the network (via edges) that involve a given host species (betweenness). One big take home message was that bat networks are more connected than rodent networks; individual bat species share viruses with more host species, on average, than rodents do. What determined how many viruses bats shared with other bat species? Several things. Notably, bat species that had been studied the most (as indicated by citations on Web of Science), were known to have and share more viruses with other bat species. That tells us that we need more bat virus survey data! After accounting for study effort, fruit-eating bats hosted more viruses than bats with other diets, either because the weird fruit-eating strategy that bats use spreads viruses to other species, or because fruit-eating bats share some other trait. Bat species that live in the same geographic locations as many other bat species also had more zoonotic viruses, like we discussed last week. Gregarious bats that roost in high densities also had more zoonotic viruses, because host density is an important driver of pathogen transmission. And finally, bats that migrated had particularly high betweenness – they linked different parts of the network together. Luis et al. 2015 could use their global bat virus database and the corresponding network to look at clusters of bat species (i.e., communities) that tended to share more viruses within the community than with species outside of the community. There were 10 of these viral sharing bat communities, some of which covered huge regions, like all of the Americas or a big region from Europe to Australia. Identifying these communities could be really helpful during future emerging epidemics. If you know what community one infected bat species belongs to, you now know where to look for other bat species that might be important reservoirs. And now, for my favorite part! Last week, we talked about a model that explained the number of viruses shared between humans and bats based on bat species richness and anthropogenic influences like human population sizes, domesticated pig abundances, and bushmeat practices. In that paper and in this one, the authors found that Europe and India have many zoonotic bat viruses, even though neither Europe and India are hot spots for bat species richness. The model from Brierley et al. (2016) would suggest that anthropogenic factors like large human population sizes result in high viral sharing between humans and bats in those areas. The model from Luis et al. (2015) might suggest a different possible mechanism: the bats in Europe and India are part of the giant green and purple bat communities that include regions with much higher bat species richness, like East Asia. So maybe areas with low bat species richness are still exposed to high viral diversity due to connections with more species rich areas. These are both really cool hypotheses that deserve further study! Brierley, L., M.J. Vonhof, K.J. Olival, P. Daszak, and K.E. Jones. 2016. Quantifying global drivers of zoonotic bat viruses: a process-based perspective. The American Naturalist. Luis, A.D., T.J. O’Shea, D.T.S. Hayman, J.L.N. Wood, A.A. Cunningham, A.T. Gilbert, J.N. Mills, and C.T. Webb. 2015. Network analysis of host–virus communities in bats and rodents reveals determinants of cross-species transmission. Ecology Letters 18(11): 1153–1162. 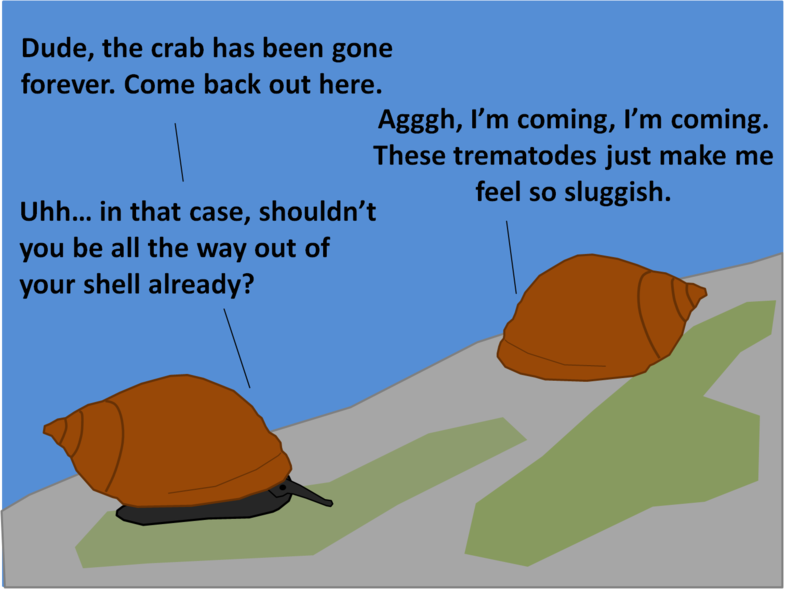 The main goal of this blog is to communicate recent symbiont ecology science to people in the field and to students and non-scientists outside of the field. 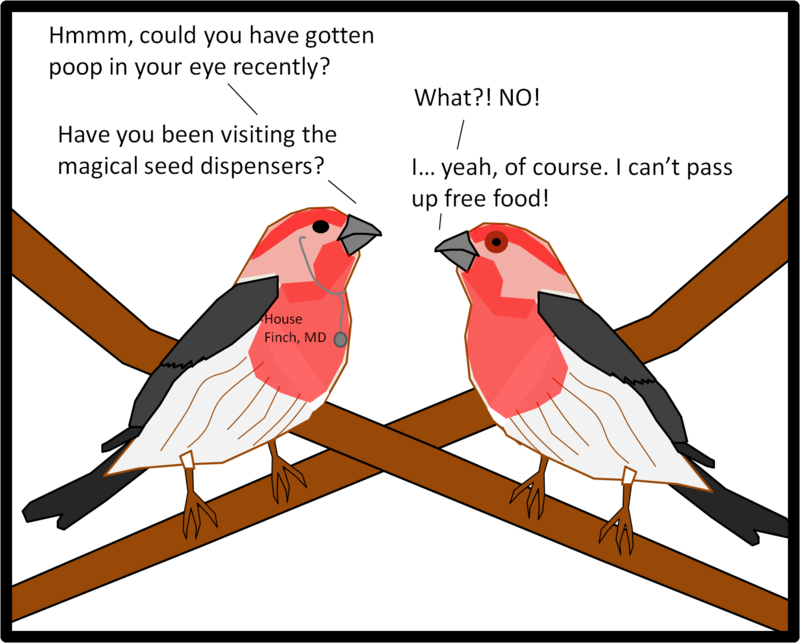 Judging by the feedback that I’ve received already, the cartoons that accompany (most of) my posts are one of the main draws for scientists visiting the blog. They’re also the most important selling point for educators using my posts in their classes and other educational material. I have a few years of cartoon experimenting under my belt, but it is still difficult to guess which cartoons will be crowd pleasers. So, if you’re a regular visitor and/or you’re an educator using my cartoons for educational purposes, I’d greatly appreciate it if you could take a moment to give me some cartoon feedback. Thank you in advance! 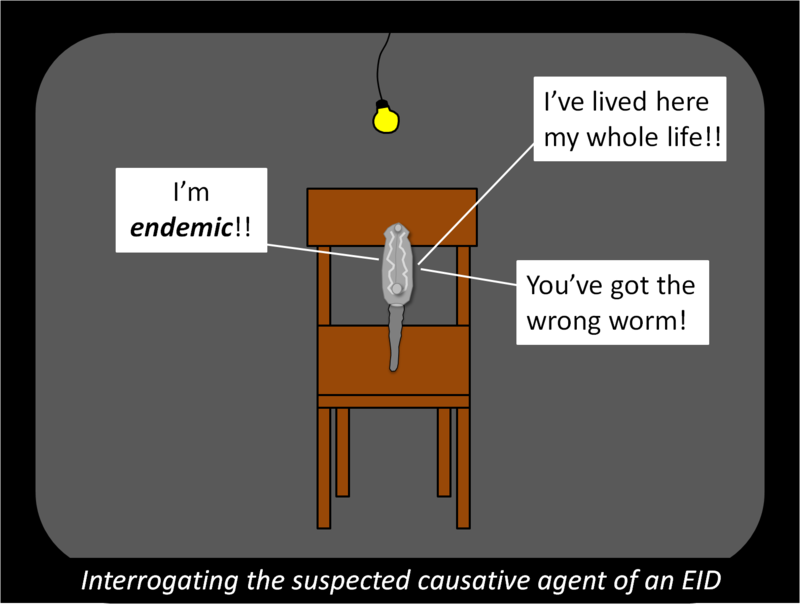 First, you can visit last week’s post and vote on the best parasite ecology cartoon from 2015. I really use that feedback to think about what kinds of cartoons to make in the future. Second, you can post in the comments of shoot me an email to tell me what you like and/or what could be improved to make my cartoons more accessible to students. One recent experiment has been embedding movie/TV references in my cartoons. The downside of this is that not everyone will get all of the references. (I fear I’m getting old….) Stay tuned next week for my best and most timely movie reference yet! 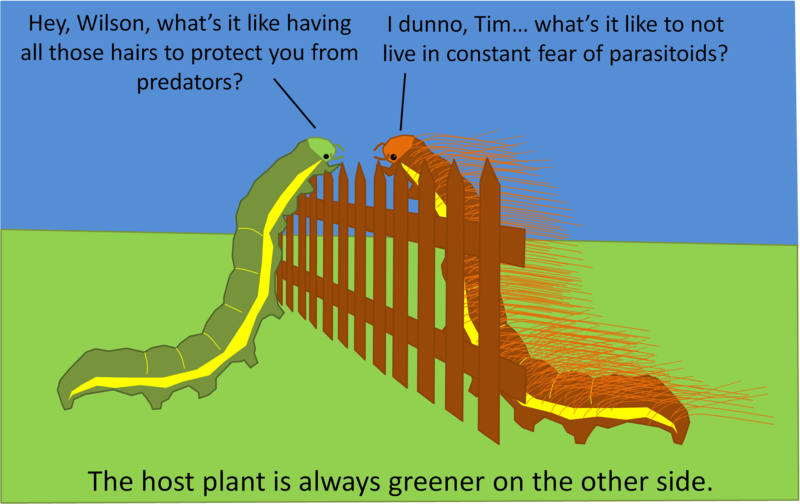 Best parasite ecology cartoon of 2015? Instead of writing my own post this week, I’m going to link you to a post about one of the coolest things I’ve learned about in months: microhylid frogs and tarantulas may have a defense mutualism! Frogs living and breeding in the same holes with tarantulas may be protected from predators, and tarantula eggs may be protected by frogs from ant predation or parasitism. HOW DID I NOT KNOW ABOUT THIS UNTIL NOW? Please read every amazing detail here. You can also see some cool photos of spiders and frogs hanging out together here. Also, someone already posted a relevant cartoon to Imgur: enjoy! Admit it, the title of this post made you cringe! Or it set off a little fuse in your brain and you’re just seconds away from your head exploding. Take a zen moment, and then continue reading for some interesting science. If you don’t know what the dilution effect hypothesis is or why disease ecologists are debating the hypothesis, you might want to check out some of my previous posts before reading this one. But briefly: scientists have found a negative relationship between host biodiversity and the risk of infection to particular host species in some disease systems in some areas. That negative relationship is called the “dilution effect,” because host biodiversity is “diluting” parasite transmission. The debates have arisen because disease ecologists can’t agree on is how often the dilution effect occurs in natural systems: always, sometimes, or never? I’ve described the core arguments on both sides of the debate in this post. Meta-analyses are one way to figure out how commonly the dilution effect occurs in natural systems. By collecting all of the available empirical and/or observation studies that consider biodiversity-disease relationships and lumping them together into one analysis, we can figure out whether the dilution effect always, sometimes, or never occurs in natural systems. Before my last post on the dilution effect debates was published, two such meta-analyses argued that the dilution effect only sometimes occurs (it’s “idiosyncratic”) in systems where the focal hosts are humans and non-human primates. Additionally, in the meta-analysis regarding how biodiversity influences human risk of infection with zoonotic pathogens, Salkeld et al. (2013) found evidence of a publication bias for studies that find a dilution effect, suggesting that studies finding neutral or amplification effects are less likely to be published. Civetello et al. (in press) responded to these worries by doing another meta-analysis. They used only a subset of the studies from their previous paper, so that they were including only field studies of human pathogens, like in Salkeld et al. (2013). Civetello et al. (in press) still found an overall dilution effect, and they suggested that adding in the studies published since Salkeld et al. (2013) provided more statistical power to see the dilution effect than Salkeld et al. (2013) had. Civetello et al. (in press) also looked for publication bias in their subsetted dataset and didn’t find any evidence for bias, but they point out that the analysis to look for a publication bias had to violate some assumptions of independence, so it might not be particularly meaningful. It’s unlikely that things are totally resolved here, but I think everyone is on the same page regarding the future directions for diversity-disease relationships: we’ve spent time looking for general trends and determining how common the dilution effect is in natural systems, and now it’s time to switch our focus to the mechanisms underlying the dilution effect. Civitello DJ, et al. (2015) Biodiversity inhibits parasites: Broad evidence for the dilution effect. Proc Natl Acad Sci USA 112:8667–8671. McCallum H. (2015) Lose biodiversity, gain disease. Proc Natl Acad Sci USA 112: 8523–8524. Salkeld DJ, Padgett KA, Jones JH (2013) A meta-analysis suggesting that the relationship between biodiversity and risk of zoonotic pathogen transmission is idiosyncratic. Ecol Lett 16(5):679–686. Salkeld DJ, Padgett KA, Jones JH, Antolin MF (2015) Public health perspective on patterns of biodiversity and zoonotic disease. Proc Natl Acad Sci USA, 10.1073/pnas.1517640112. Next week, I’m going to talk about the role of livestock, wildlife, and the environment in emerging infectious diseases (EIDs) of humans. This week, I want to talk more generally about emerging infectious diseases. Let’s start with the most straightforward part: “infectious.” EIDs are caused by some kind of transmissible pathogen. Therefore, heart disease and obesity are not EIDs, even though there are major epidemics of these diseases in some countries. (As a side note, there are some cool papers that relate the spread of non-infectious diseases, like obesity, through social networks to the spread of memes.) And “disease” means that there is pathology or fitness decreases experienced by the hosts as the result of a pathogen. There are two ways that infectious diseases can be “emergent.” First, an emerging pathogen can be novel to a naïve or highly susceptible host population, meaning that it never existed in that population or species before. For instance, the newest emerging fungal pathogen of salamanders in Europe (Batrachochytrium salamandrivorans) exists in populations of relatively resistant salamanders in Asia, but has not previously existed in European salamanders (Martel et al. 2014). B. salamandrivorans was likely introduced into Europe via the pet trade, and European salamanders are highly susceptible to the pathogen. 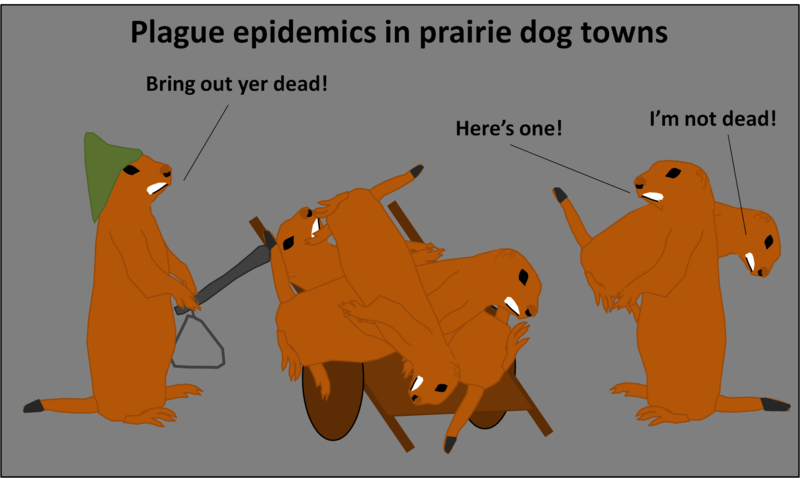 Pathogens can also be considered emergent when they have existed in a population previously (i.e., endemic pathogens), but the pathogens weren’t noticed by humans until recently and/or infection rates or mortality rates recently increased due to some change in ecological or environmental conditions (e.g., changing amounts of forest fragmentation and the re-emergence of Lyme disease). Next week, I’ll go into much more detail about how disease emergence depends on ecological and environmental conditions. Finally, why should we care if a pathogen causing an EID is novel to the focal host population or endemic to the population? Because the control measures that we use will depend on whether the pathogen is novel or endemic. For instance, targeting the trade of salamanders originating in Asia appears to be the best option to stop the spread of B. salamandrivorans, and that would not be the case if B. salamandrivorans were endemic to salamanders all over the world. Martel, A., et al. 2014. Recent introduction of a chytrid fungus endangers Western Palearctic salamanders. Science 346(6209): 630-631.
Who are the most influential modern day disease ecologists (or parasite ecologists)? You might start with my list of the most prolific parasite ecologists in the 21st century. What is the disease triangle? What proportion of Earth’s species are parasites/pathogens? What proportion of the total biomass in an ecosystem is parasite biomass? I have some related posts: here and here. How do parasites affect food webs? You might start here and here. What are the differences between microparasites and macroparasites? Here. What are the differences between predators, parasites, and parasitoids? Here. Why are macroparasites aggregately distributed among hosts, and why does it matter? Here and here and here. What are the hypotheses regarding the evolution of virulence? I haven’t blogged about that much, but there’s a bit here. What are SIR models? SI models? SIS models? SEIR models? Vector transmission models? What is R0? What happens when R0 > 1 and when R0 < 1? How can you reduce R0? What is the critical proportion of susceptible individuals that needs to be vaccinated so that R0 < 1? Somehow, I haven’t covered this in any detail. But I have a cute cow cartoon about herd immunity. What are density dependent and frequency dependent parasite transmission? Here and here. Are there invasion thresholds is disease systems? Link to PDF. Is culling a viable strategy for disease management? See previous two questions. What role does contact heterogeneity play in disease transmission? What are superspreaders? What is a superreceiver? Here, here, and here. Is disease risk related to biodiversity? What is the dilution effect? Amplification effect? Neutral effect? Here and here, for starters. What are the main types of pathogen transmission? E.g., direct vs. indirect, sexually transmitted, vectored, trophically transmitted, etc. 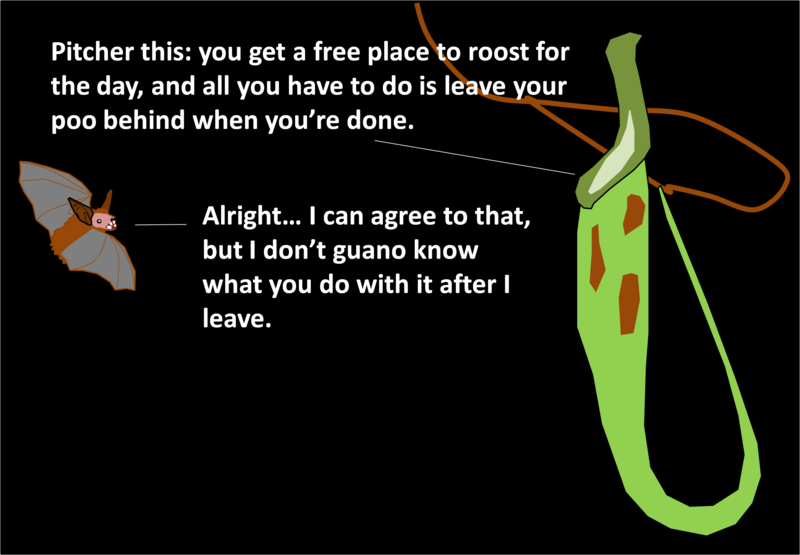 Explain the concept of parasite manipulation of host behavior. Is it adaptive? What are the consequences for communities/ecosystems? Here and here, but there is waaay more material out there. Do hosts and parasites coevolve? Is there evidence of parasite-mediated selection? What is parasite-mediated competition? Does it happen in real systems? Are there general laws in parasite ecology? PDF link. How are resistance and tolerance different? Here. Did I miss anything? Add in the comments or shoot me an email!